“Providing Our Nation’s Finest and Their loved Ones with Adventures of a Lifetime” could not be a more accurate tag line. Having been honored to receive a trip to India from American Hero Adventures, our lives will never be the same. We had the opportunity to explore forts, palaces, marketplaces, temples and of course the Taj Mahal. We walked, rode and biked amongst the Indian people, ate their food and bought their crafts. We were immersed in the culture of a beautiful and fascinating people. Building memories with my husband and enjoying our time together was timely and much needed. Being able to distance ourselves from day-to-day stresses and be present with each other was simply good medicine. 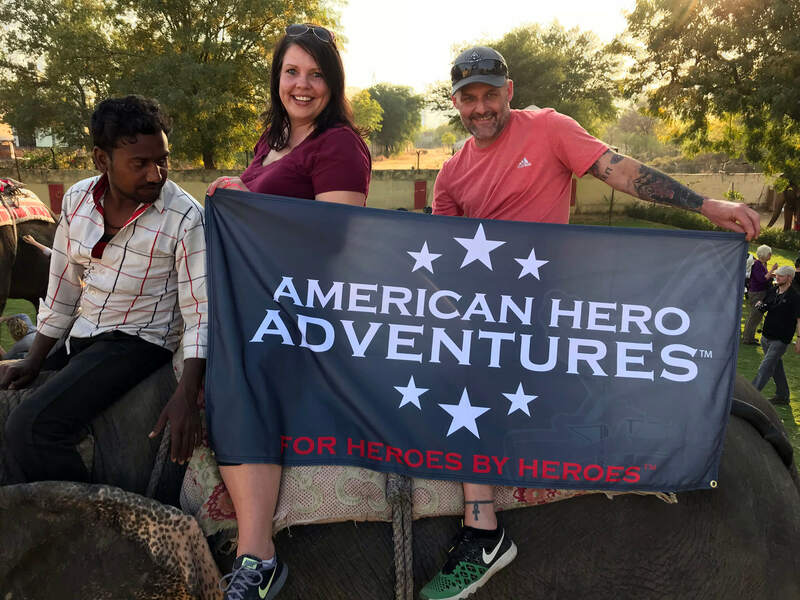 We are deeply grateful for the gift of travel and time that American Hero Adventures awarded to us.